“Weak central coherence” refers to the detail-focused processing style proposed to characterise autism spectrum disorders (ASD). The original suggestion of a core deficit in central processing resulting in failure to extract global form/meaning, has been challenged in three ways. First, it may represent an outcome of superiority in local processing. Second, it may be a processing bias, rather than deficit. Third, weak coherence may occur alongside, rather than explain, deficits in social cognition. 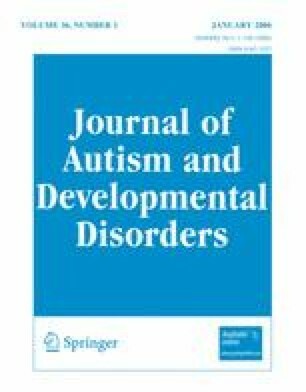 A review of over 50 empirical studies of coherence suggests robust findings of local bias in ASD, with mixed findings regarding weak global processing. Local bias appears not to be a mere side-effect of executive dysfunction, and may be independent of theory of mind deficits. Possible computational and neural models are discussed. Both authors were supported by grants from the Medical Research Council at the time of writing (grant G9900087 to F.H. and G9716841 to U.F.). We would like to thank Rhonda Booth for her helpful comments on the manuscript.